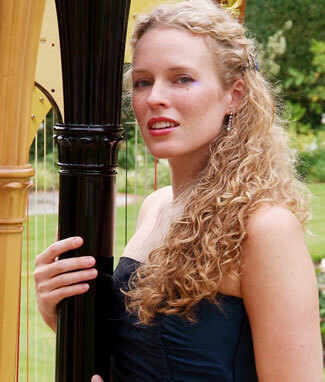 This harpist has been performing at weddings and functions since 2003 and studied both at Oxford University and Trinity College of Music. She has performed with top orchestras such as the Philharmonia and Northern Sinfonia and is in high demand as a performer playing everywhere from Claridges to the Houses of Parliament, Fabric Night Club and aboard the iconic QE2 Cruise liner. She has made several TV appearances including duetting live with Dermot O'Leary on Celebrity Big Brother and also performing with Florence and the Machine at the BRIT Awards. 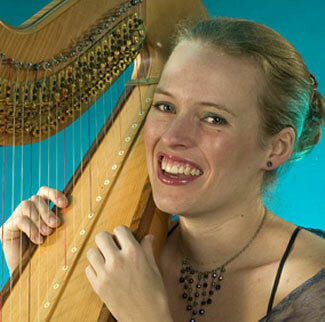 Her repertoire includes pop music such as Coldplay and The Beatles, light classical, jazz standards and even Bollywood tunes! She likes to accommodate requests where possible and prides herself on being punctual, smiley and professional in her approach to every event she plays at. 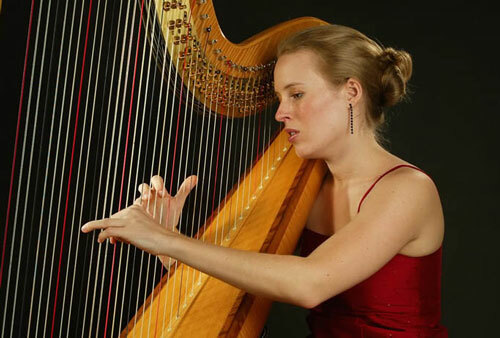 She not only plays on a full size concert harp but can also create a more modern feel to the evening with her dazzlingly white electric harp. 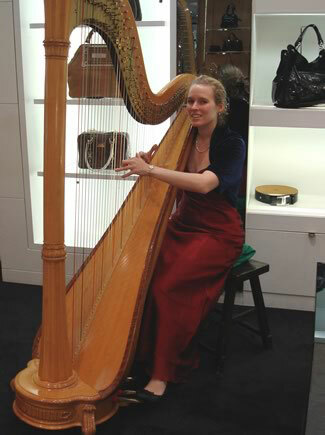 Played standing up, this harp is custom-made and adds a funky vibe to any event. 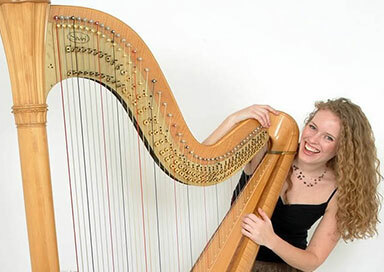 Other options for an evening of musical entertainment include harp duet, harp quartet, oboe and harp, and cello and harp music.